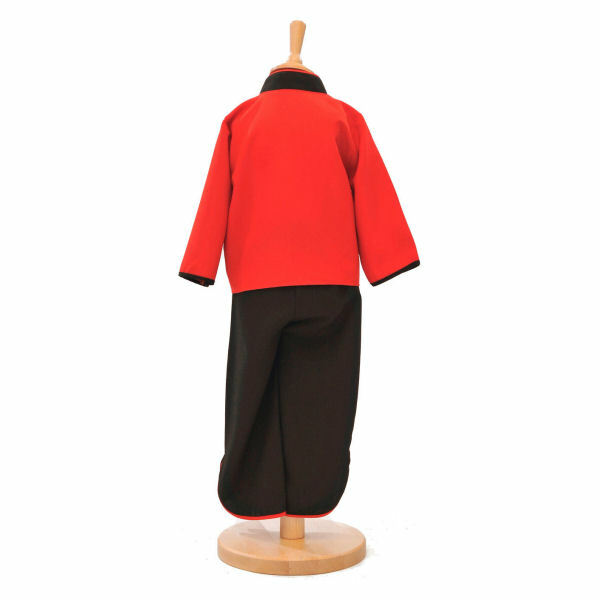 Durable bi-stretch two piece black trouser and red jacket. 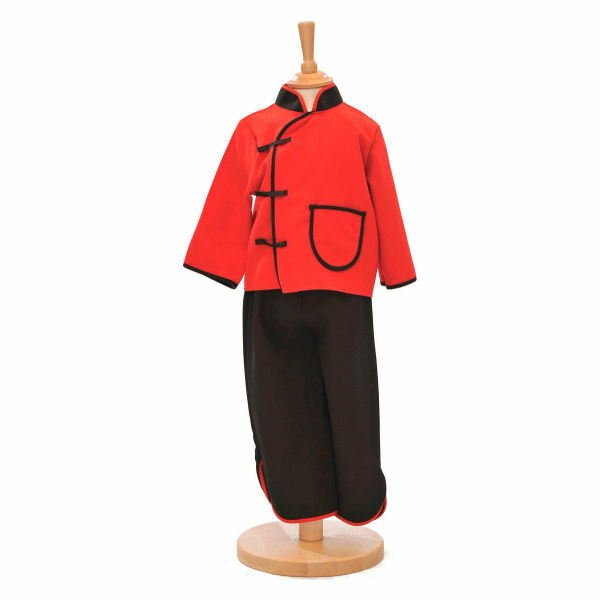 Usable pocket and oriental style side fastenings. 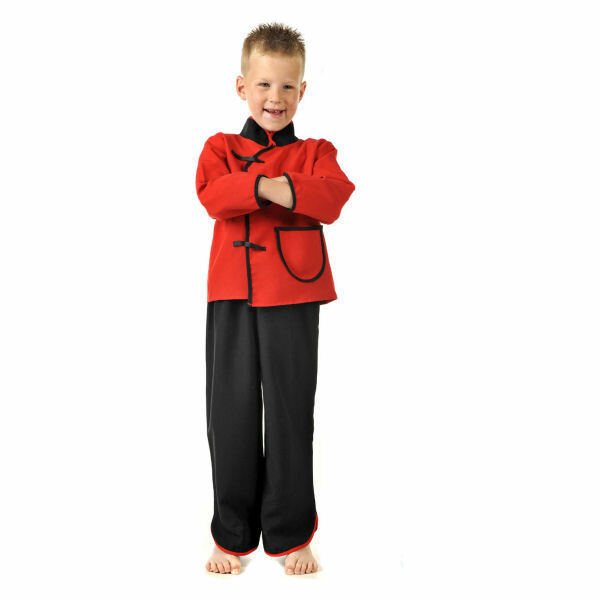 None specified at present for Traditional oriental / Chinese Changshan tang costume by Pretend To Bee. 100% polyester for easy cleaning. Most Pretend to Bee costumes are machine washable on a gentle 40°c cycle. Dress Hoops and boned wings are removable for washing purposes. All garments are clearly labelled with washing instructions. Usable pocket and oriental side fastenings. There are no videos for Traditional oriental / Chinese Changshan tang costume by Pretend To Bee at present.